While I was home visiting my family, my mom and I made one of her food-delivery-dinners… You know, those boxes that come with everything you need to make an amazing meal. I happened to love this meal, but it was SO EASY that I felt like I could recreate it at home. And so I did, and now I’m sharing with you. You’re welcome. Warm naan or couscous makes a good combo with this meal. This is SO EASY. Get ready. 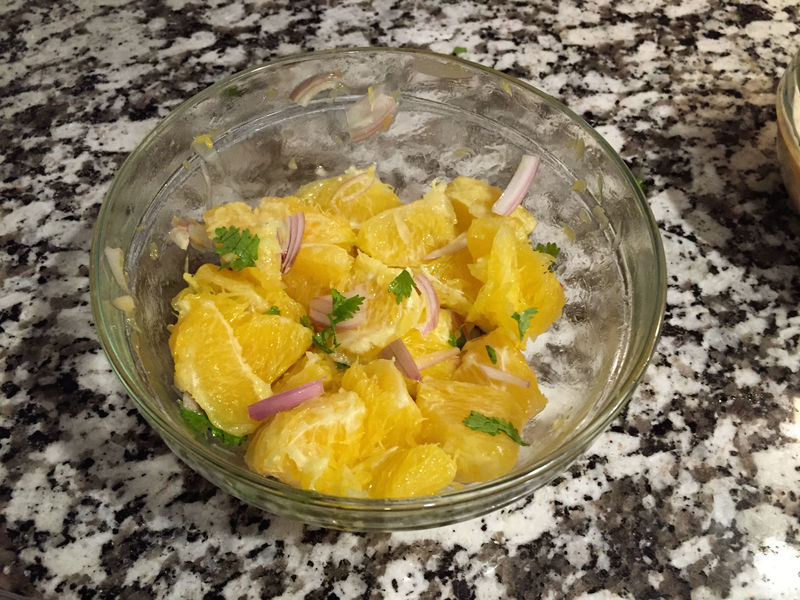 Mix together your orange pieces, shallot (to taste), a few pinches of cilantro, and about a tablespoon of olive oil. I also add a little salt and pepper. Set aside. 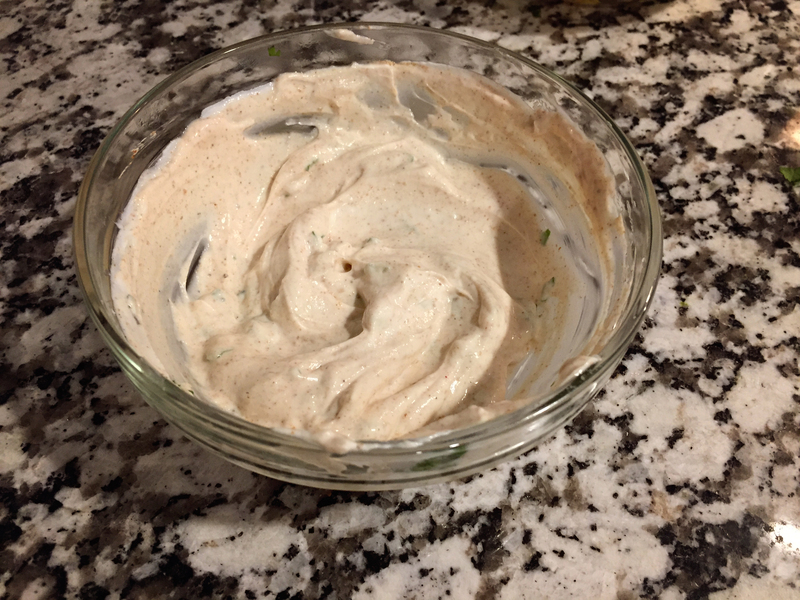 Mix together yogurt, 1 tablespoon tandoori seasoning, and another few pinches of cilantro. Set aside. Remove stem and leaves of cauliflower, and cut each head into 8ths. Drizzle olive oil, 2-3 tablespoons tandoori, salt, and pepper and toss to coat. Lay pieces on an aluminum foil covered baking sheet (I recommend spraying it), and bake for about 20 minutes, until roasted. 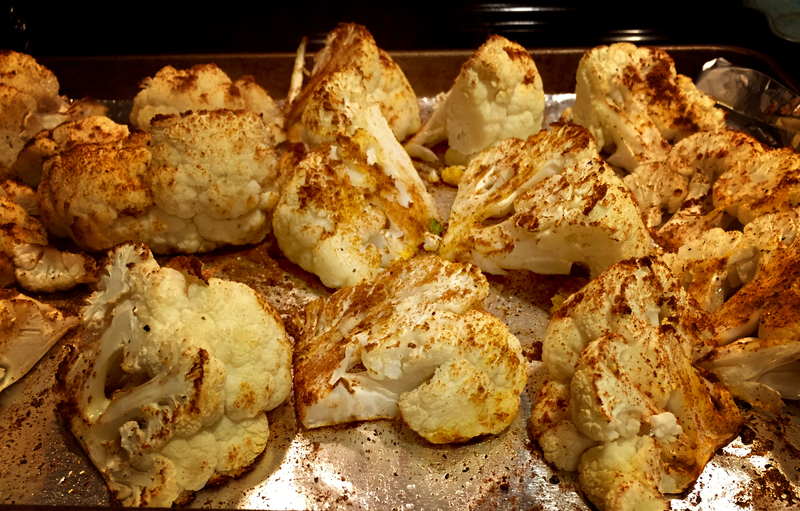 Serve cauliflower with yogurt sauce, and with orange salad on the side.